CHN310 Ethernet USB 3.0 hub is sturdy and durable with highly robust ABS plastic material. 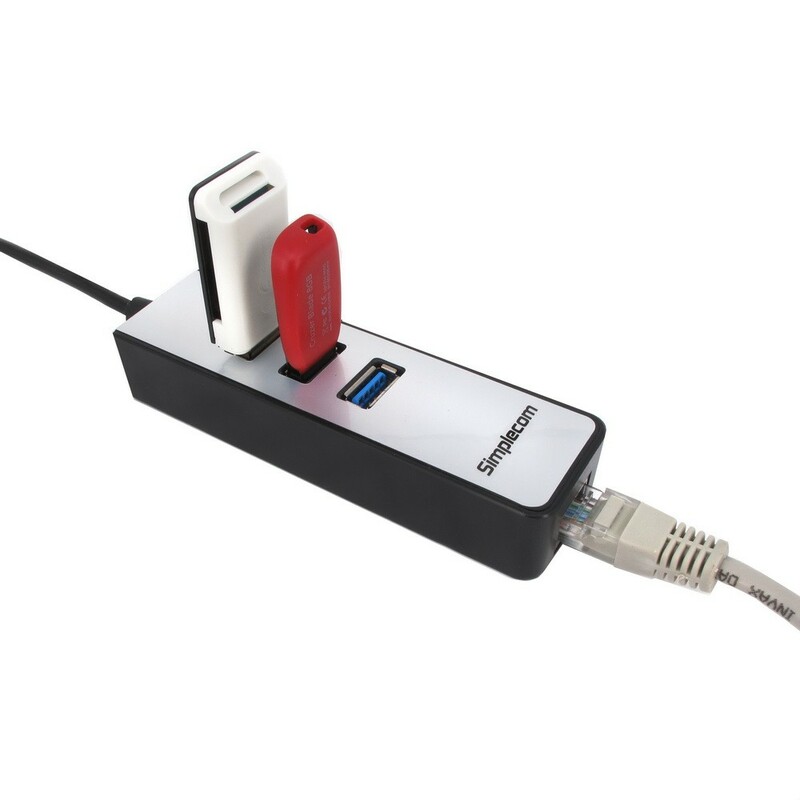 Sleek and simple designed with 3 USB 3.0 ports on the top and an innovative built-in RJ45 Gigabit Ethernet adapter on the end, accommodate your collection of USB device without cluttering your desk space. 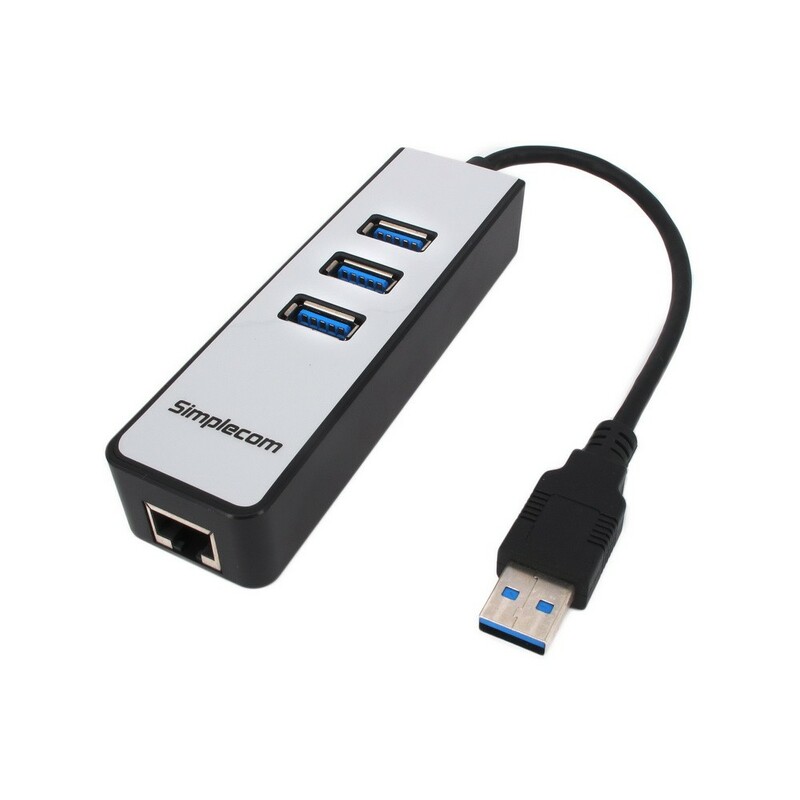 The Ethernet USB 3.0 hub has a built-in Gigabit Ethernet Adapter with premium AX88179 chipset on the end. 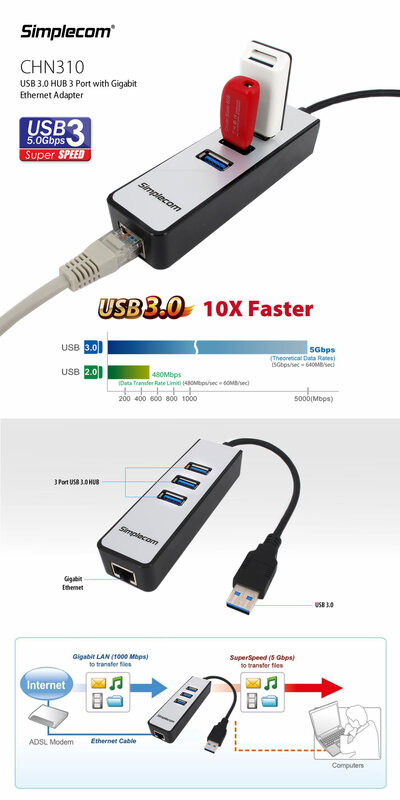 It is an upgraded USB 3.0 hub which endows your PC with a Gigabit Ethernet port which accesses superfast network speed up to 1000Mbps and downwards compatible with 10/100Mbps.